I have had this dress a while now and it has quickly become something I wear a lot. I bought it from another blogger but it is originally from Asos. 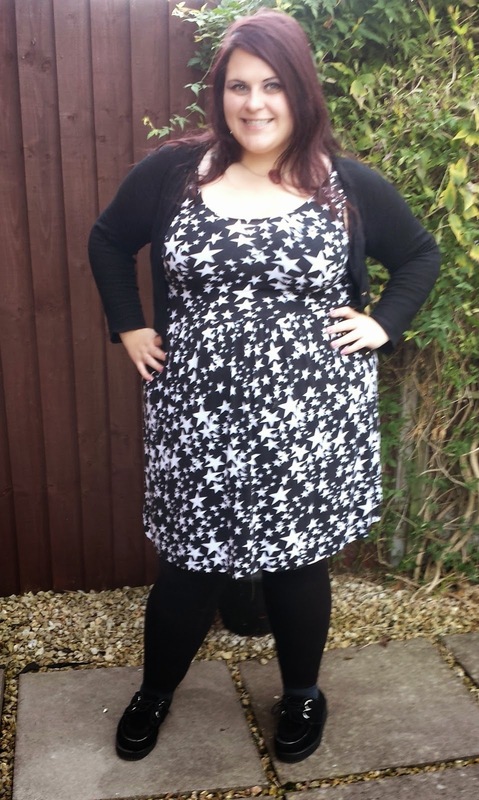 It is so comfortable and easy to wear which is why it has ended up being a firm favourite. I find I feel really confident in this as it nips in slightly at the waist and flows out a little. It is plenty stretchy, so even on those not so great days when you feel sluggish it can be a bit of a pick me up. The cute star pattern means the rest of the outfit can be really simple. RIP to the creepers which have been awesome but binned now. Roll on new pair. As if I need an excuse to buy shoes? What is your favourite item in your wardrobe at the moment? 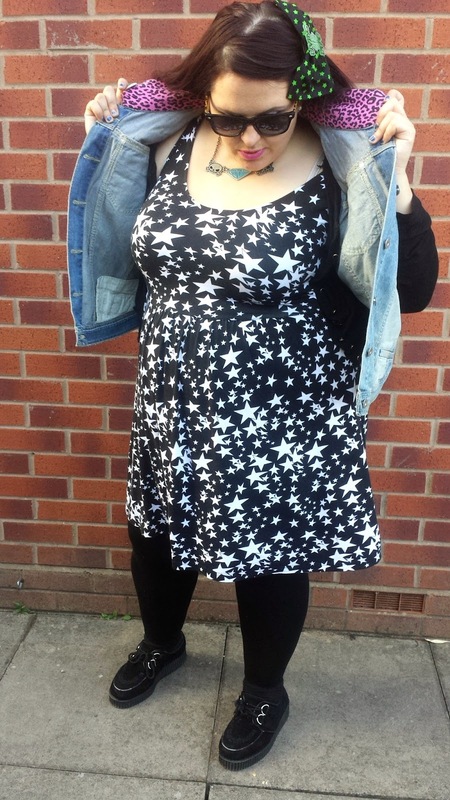 I love star prints and this dress is super cute - I love the denim jacket as well. I always wanted that dress it looks fab on you BTW! I have that dress and those creepers :) I do find that thhe back on the dress is far too low for my comfort zone though which is a shame as I love the print and the quality of the material.